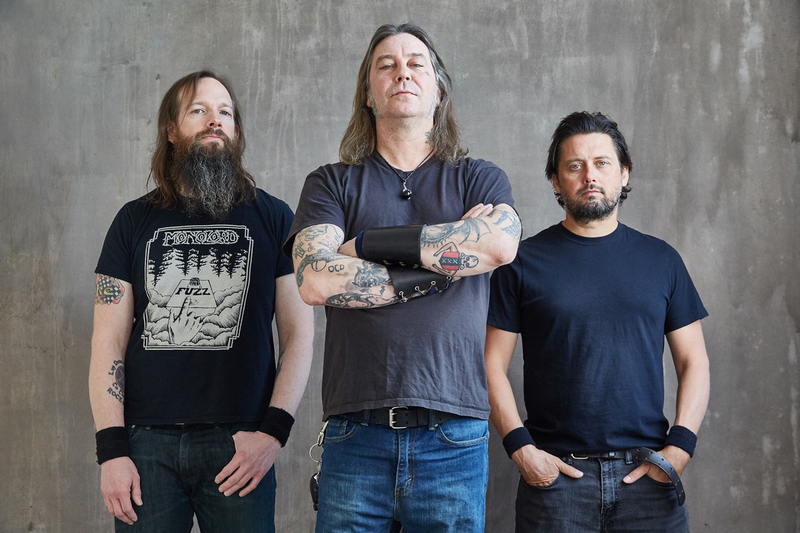 High on Fire formed from the original split of legendary stoner doom outfit, Sleep. Matt Pike wanted to continue with a band in a similar fashion after the drama that ensued with trying to release an album as a single track; which London Records was not too keen on and it eventually (posthumously for the time) became Dopesmoker. Pike is the main man in the act accompanied for the most part by drummer Des Kensel and bassist Jeff Matz. 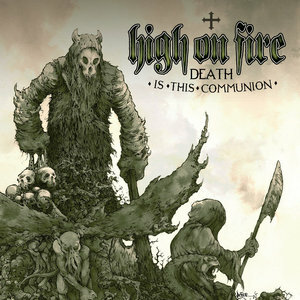 High on Fire eventually established themselves as part of a new wave of American metal and the absolute live wire that was Relapse Records in the early 2000’s alongside bands like Mastodon, Converge, and Neurosis. They have been a very important band for 20 years and that seems to grow with each release. In honor of the release of their latest album Electric Messiah, here is a look at the albums that preceded it and how they rank. 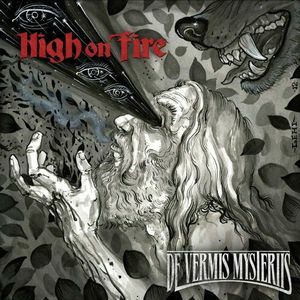 Being the lowest ranked High on Fire album is not a mark of disrespect to Surrounded By Thieves in any way, as a matter of fact “Hung, Drawn, and Quartered” was featured as part of a 7” split with Mastodon’s “March of the Fire Ants” and this was the first of three Relapse records releases that helped the band truly establish their foothold on metal to come for a long time. This album marked a change in sound for the band and one that would continue to develop for during their three album stay with Relapse. Stripped away are the heavy Black Sabbath influences of Pike’s days with Sleep and the drumming of Des Kensel has a warlike sense about it, much different than that of Bill Ward and Chris Haikus. 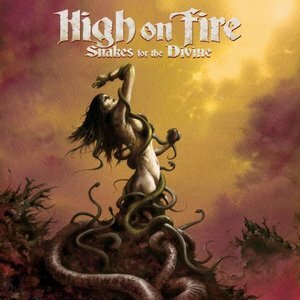 This is really the album that put High on Fire on the map. This very much still feels like a Sleep album and released on Man’s Ruin records, a label that had a penchant towards the end of its existence for housing plenty of doom metal bands that would eventually re-release material on Southern Lord, like Goatsnake for example. 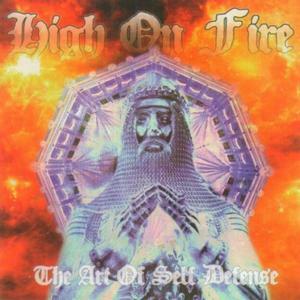 The Art of Self-Defense features some particularly Iommian riffing and a gritty, dirty production reminiscent of Sabbath’s Vol. 4. There also reminders of where the band was heading with opener “Baghdad” being an intro to a slightly different guitar style and a hard introduction to Pike’s vocals which fit this style of music quite well; as if they were shouted through the annals of some kind of subterranean bar. This was the start of something big. High on Fire’s fifth foray was to be Pike’s first album recorded sober and marked a new age not just for himself, but in turn High on Fire as well. What resulted was a Lovecraft-influenced dirge into the depth in combination with the longstanding percussion of Des Kensel and Pike’s own pyrotechnics. 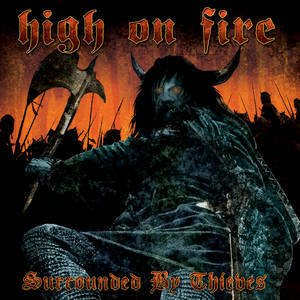 What the album lacked at times was the main crushing riffs of some of the band’s earlier and even later albums, but this was most certainly a High on Fire album as heard on “Fertile Green” and “Spiritual Rights.” The latter would fit on any album they would ever release and is one of the finest examples of what the band can deliver. This album holds a special place for me being the first brand new release during my fandom of the band and it is often looked at as a very divisive album by fans, especially on the heels of a career defining album to boot. Snakes also marked the official departure from Relapse and a move to eOne where they still remain today. The title track is an epic, almost 9 minute attack and the album’s opening salvo with Jeff Matz’s bass very high in the mix. One of the band’s most iconic tracks is also featured here in the form of “Frost Hammer” which has massive appeal to fans across the metal spectrum, with a main driving riff that pulls listeners in and won’t let them leave; for long time fans “Fire, Flood, and Plague” are the best places to whet their appetite. Featuring perhaps the song that put the band on the map and certainly the first song of theirs that I had heard; “Devilution” tells newcomers to the band what High on Fire is all about; a statement that is still as true as when this was released 13 years ago. Distant drums open up this album and it eventually drives the weapon deep into the heart of enemies. Truly one of the band’s deepest records, there are thing to like almost everywhere. “Cometh Down Hessian” is a perfect storm of riffs, bass pluck and absolute drumming madness. Truly an exceptional live track to see these physical specimens perform it live is surely a sight to behold. This was the album that opened people’s eyes and made them pay attention. 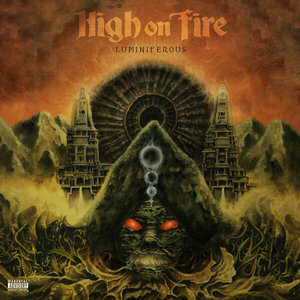 Bands with the career trajectory on High on Fire’s don’t usually get to release career defining albums seven albums into the game, but longtime fans were in for a surprise with Luminiferous, a raucous testament to their now longstanding legacy. Evidenced by “The Black Pot,” everything seems to run at light speed, a place that isn’t where the band had buttered their proverbial bread in the past but they are willing to show that they can do so at any speed. Catchy riffs abound on “The Falconist” and personal favorite “The Dark Side of the Compass,” the latter complete with a mind-melting guitar solo which shows off the sheer talents of Pike at his peak. This was a tough one to keep away from the number one spot on this list. 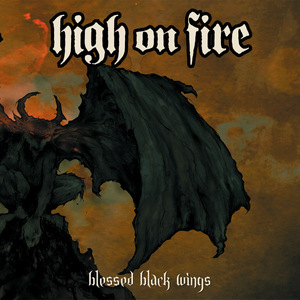 High on Fire’s fourth album was their masterpiece and it was a tough call but many fans are undoubtedly familiar with tracks like “Fury Whip,” “Rumors of War” and “Turk” for starters. The stars aligned for this album which marked their final album with Relapse and what a high note! The battle was waged between Pike, Kensel and Matz with neither of the three giving ground to the other; a three-headed attack that is tough to top but each mesh so well within the confines of these 11 tracks. Even one of the band’s shortest songs ever, “Rumors of War,” hits that perfect storm that “Devilution” did two years prior and fit HoF’s message into a small and easily digested package allowing fans into deeper listens like “Cyclopian Scape” and the title track. Their finest moment in a fantastic 20 year career so far. What will the future hold?